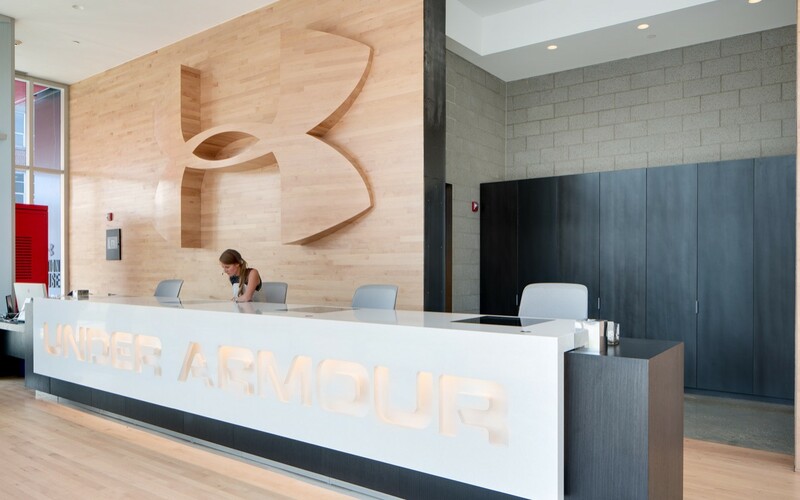 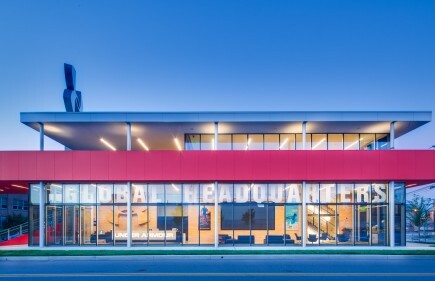 UnderArmour, a global leader in athletic performance apparel and accessories, is headquartered in the historic industrial Locust Point neighborhood on Baltimore’s downtown waterfront. 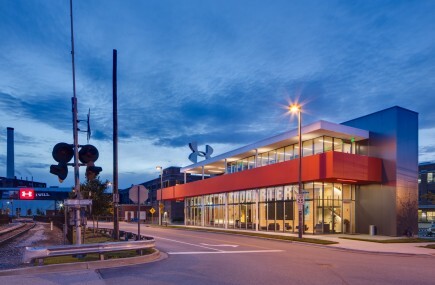 The multi-building campus is divided by an active rail line and lacked a center for visitors. 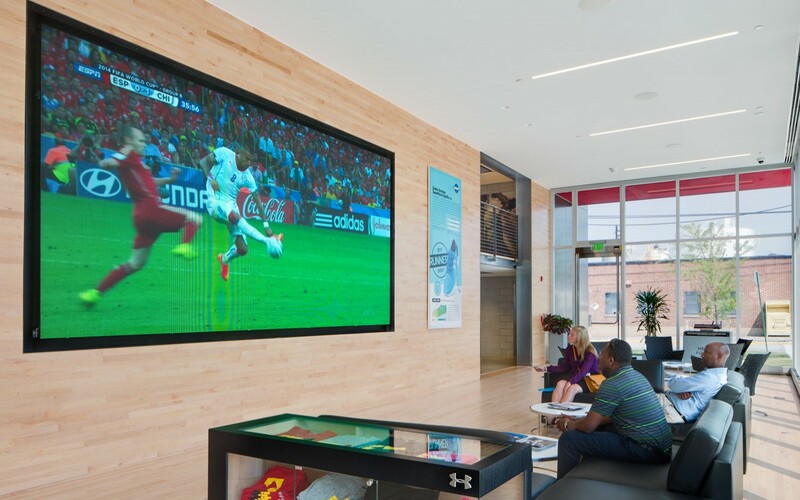 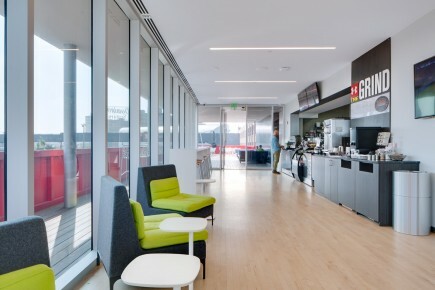 Ziger/Snead worked with UnderArmour to study campus connectivity, wayfinding, and the visual impact of the corporate brand across the campus and beyond. 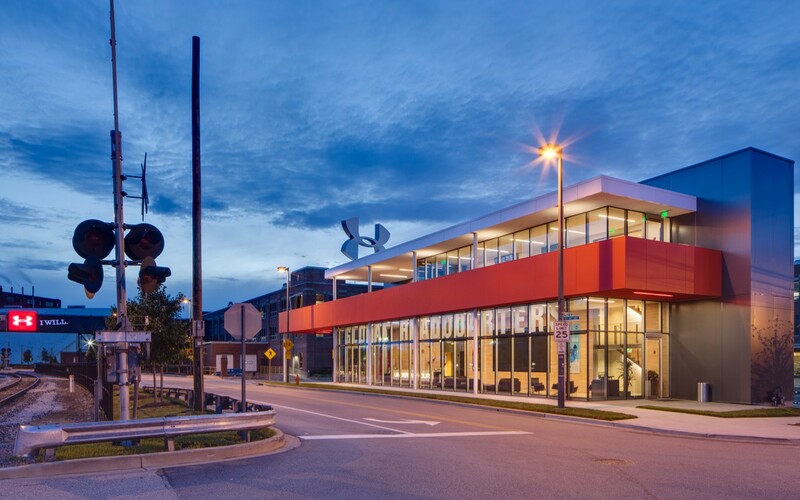 The design solution creates a campus-wide “Circuit” that integrates a new pedestrian bridge and a distinct central pathway which connect to a new welcome center. 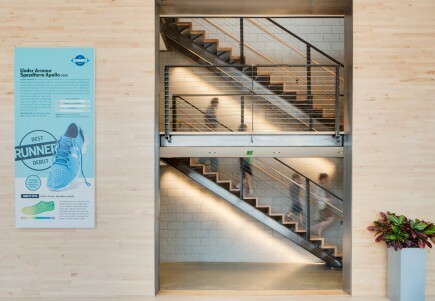 The state-of-the-art visitor center, appropriately referred to as “Home Base,” is the heart of campus from which all campus activity and wayfinding are anchored. 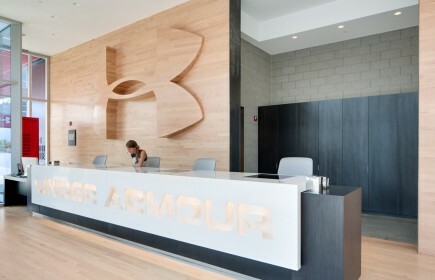 Conceived as an extension of the corporate mission to “make all athletes better through passion, design and the relentless pursuit of innovation,” the modern design creates an immersive high-tech audiovisual experience that tells the story of UnderArmour, its design, and its innovation. 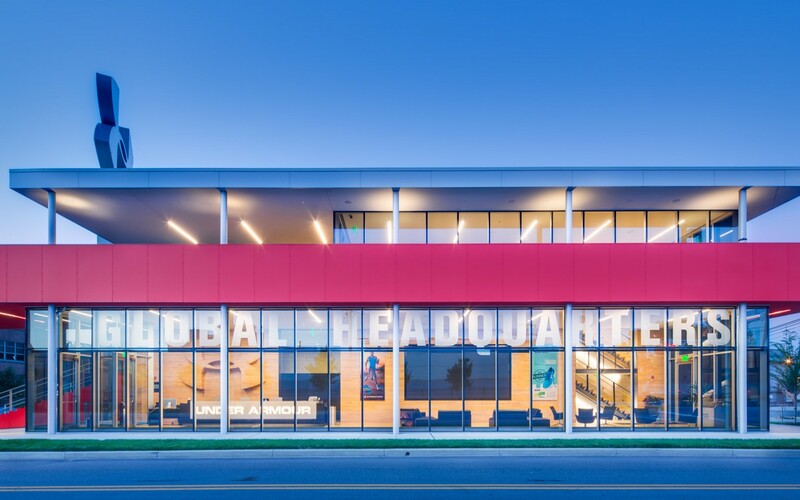 The brand is further communicated through the small building’s bold presence on the site, clearly defined architectural elements, and incorporation of brand colors including dark gray metal panels, bright yellow pavers, and red steel-plate railings. 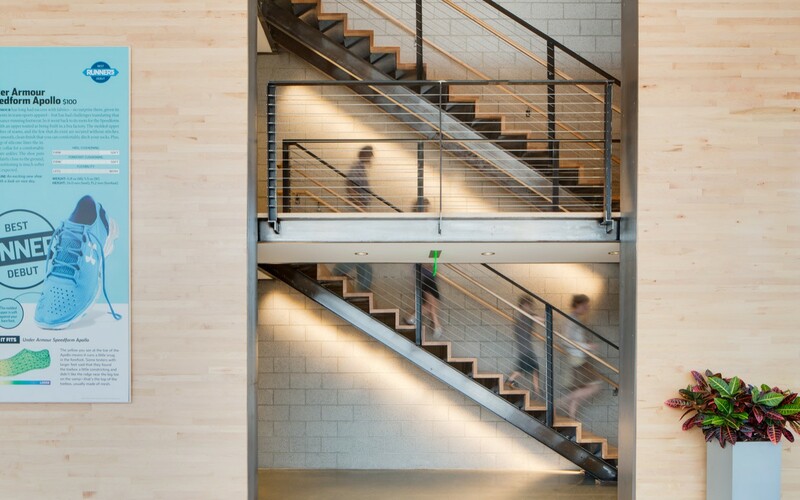 The covered plaza at the building’s entry provides a gathering place for athletic teams and school groups visiting to tour the campus. 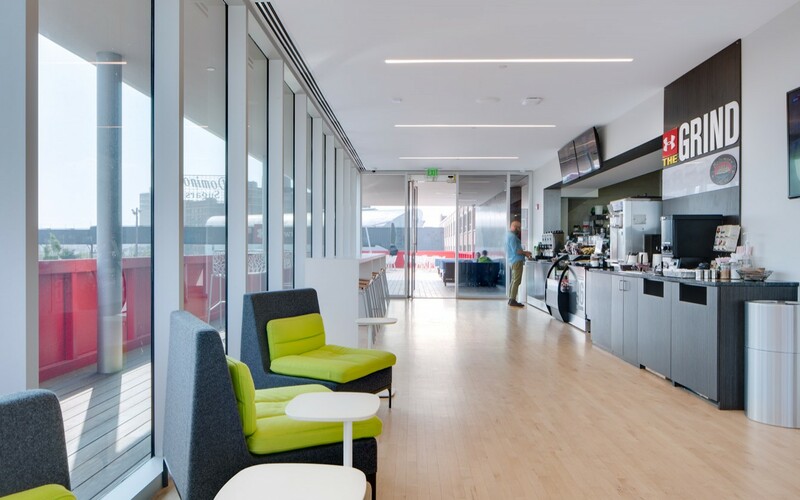 Visitors are welcomed into a tall, open lounge and reception area with hardwood basketball court flooring and floor-to-ceiling curtainwall windows that blur the edge between interior and exterior spaces and afford gracious views both into and from the building. 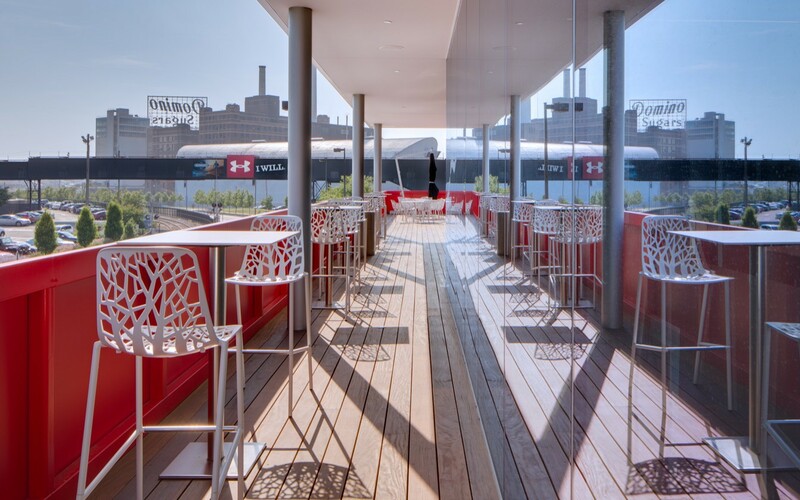 The upper level houses a small café that opens onto a covered outdoor seating deck and viewing platform for events like the Baltimore Marathon. 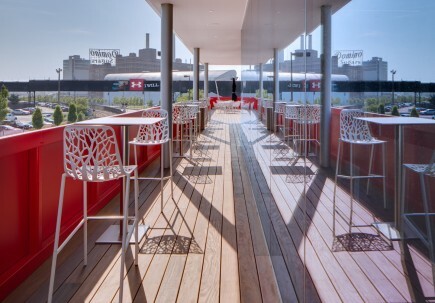 The deck is designed to eventually connect to the elevated campus circulation system, completing the “Circuit” and tying together the campus with a bold red ribbon of circulation and activity.